Last year two of my friends Rahul and Tapas appeared for the NEET 2017 exam. Both of them were equally talented as both were A+ students of their respective schools. Both of them worked equally hard for the exam, round the clock throughout the year. But results were not same. Rahul not only qualified the exam but also came in the merit list, whereas Tapas failed to qualify the exam. What could be the possible reasons for the differences in the result? What was it that Rahul did during his preparation and Tapas didn’t? So, I decided to find the answers to these questions myself. I talked to both of them and analysed their preparation phase. Although both of them have done ample preparation for the exam but Rahul had tried to give some extra edges to his preparation. So here is what I found after detailed analysis, what Rahul had added to his preparation strategy. Hope this will help the students who are preparing for NEET 2018 exam. Any candidate who is preparing for the NEET 2018 exam should understand the difference between mere preparation and cracking the neet exam. Preparation means simply studying for the exam, whereas cracking means acquiring competitive edge over others. Before starting any topic you should read previous years’ questions for that topic, first. It will give an idea about the depth of questions asked in the exam. Same strategy might not work for all subjects. You should devise different strategies for different subjects. Like for Physics, a formula copy can be prepared while this will not work in Biology. 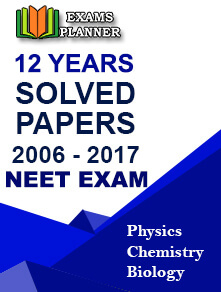 Make a habit of solving the sample papers/previous years’ question papers/mock tests within the time-frame of the main exam. This will help you in dividing time for each section and also increase your speed. This is what Rahul did. NCERT for all subjects are best to clarify your concepts. For practice you should solve sample papers. Rahul made sure that he took a test after completing a topic. Tests are available online. Do smart study. Concentrate on quality study instead of spending long hours on preparations. Impressive writing skill Superb article. Thank u so much for sharing with us.